Send mom your love this year through a beautiful bouquet of her favorite flowers. Mother's Day is your time to show mom just how much you appreciate her and everything she has done. 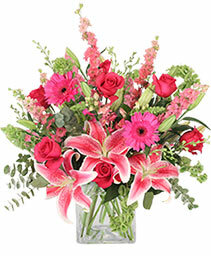 Let DAYSPRING FLOWERS & GIFTS INC help you say "Thinking of you, mom" and "I love you always" with flowers -- no matter if you live here in Apex, or across the country. Simply click any of the beautiful Mother's Day flower arrangements above to order online!